Historian George Santayana said “Loyalty to our ancestors does not include loyalty to their mistakes.” Today it appears that at least one legislature and governor has agreed with him. This afternoon South Carolina Governor Nikki Haley signed a bill passed by overwhelming majorities in the South Carolina Senate and House to remove the Confederate Battle flag from grounds of the South Carolina State Capital. The ceremonial lowering will occur at 10 AM tomorrow, July 10th 2015, when it is lowered it will be transferred to a museum, which is an appropriate place. This is important, I did not imagine that it would occur in my lifetime, and I expect to live a fair number of years. The sad thing is that it took the murder of nine innocent African American church members at Emmanuel African American Episcopal Church in Charleston by a young man named Dylan Roof, who harbored White Supremacist dreams of a race war to bring this about. 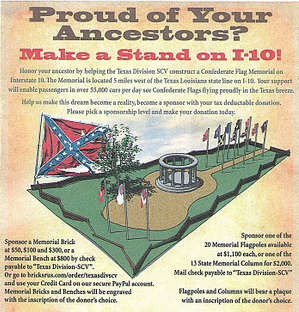 It took the abject horror of people being murdered in church to do make people begin to realize that maybe, just maybe that continuing to display this symbol of the Confederacy on state grounds was not a good idea. In fact if you read every declaration of secession issued by the various states of the Confederacy, all insist that slavery was the main issue for which they seceded and for which they went to war. 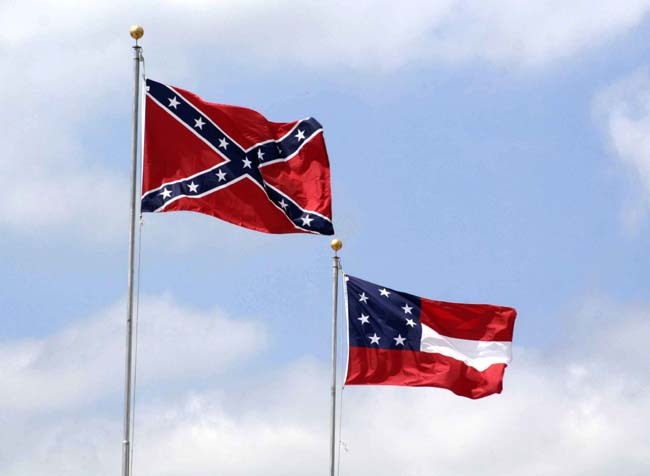 That did not change during the war and after the fighting was over, the flag of the Confederacy became the standard of White Supremacists throughout the South as they worked in the legislatures and in the courts to roll back the rights of blacks, using violence, intimidation and fraud to do so. 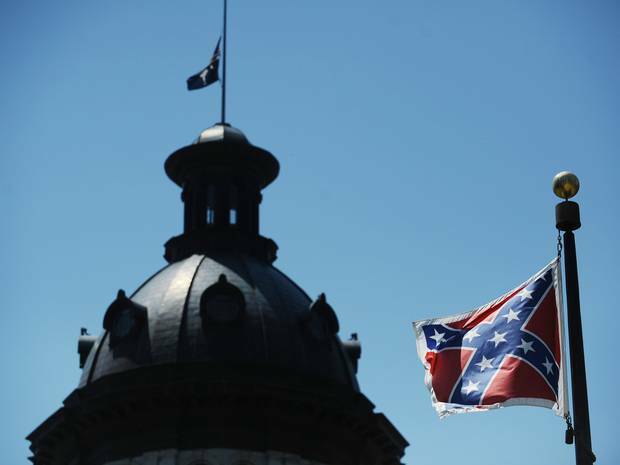 However, it was not until April 11th 1961 during the early days of the Civil Rights movement that the legislature of South Carolina voted to fly the Confederate Battle Flag over the state house in Columbia. 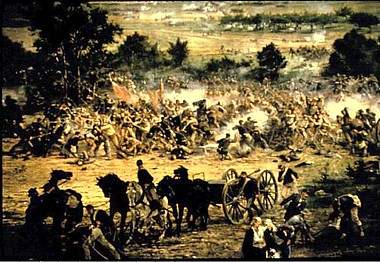 This coincided with the centennial of the beginning of the Civil War when South Carolina troops on the orders of President Jefferson Davis opened fire on Fort Sumter. Ten years ago the flag was moved from the dome of the state house to a monument to Confederate veterans on the grounds of that complex. Tomorrow morning that flag will come down, and I think that is a good thing for I do not believe that this symbol of rebellion and sadly white supremacy and racism should fly from any government building or complex. That being said if an individual chooses to fly the flag they should not be forbidden from doing so. I may object to that but I can only hope that with time and exposure to the truth that even these displays will come down. As to the people that fly these banners in order to display their racism, their hatred of other Americans and their desire for yet another rebellion, I am glad that they fly it so that I will know who they are, after all I favor truth in advertising and if I see this flag flying from a business I am sure that I will not spend my money in those establishments. As far as the people who honestly believe that in flying the flag they are honoring their heritage or ancestors, I can offer a measure of sympathy, but I encourage them not to sanitize history from facts. The fact is that the sacrifice and “heritage” our our ancestors, and I do include mine cannot be separated from the cause for which they fought, slavery, and for which those that came after them worked to ensure; racism, discrimination and even murder. As gallant and even as chivalrous soldiers as many Confederate soldiers were, their sacrifice cannot be separated from the cause for which they fought, just like any other “honorable” soldiers who fought for evil causes. There are many such people that I admire for their soldierly qualities, while not espousing their cause. It is time for this symbol of the Confederacy to come down forever and for the war that three quarters of a million American soldiers, Union and Confederates died, and for which millions of African Americans were enslaved and after the war thousands of freed blacks murdered or lynched, even as millions more were legally disenfranchised and discriminated against under Jim Crow. It is time for that to end, here and now. As far as me, I may honor my ancestors, but I will not honor the cause for which they fought.